If you’ve been anywhere near a shopping center recently, you would know that Christmas is fast approaching. The decorations are out, as is the scary advertising telling you its only 6 weeks till xmas! Every year Christmas seems to come around faster and faster, I guess that’s just a sign we’re getting older right? 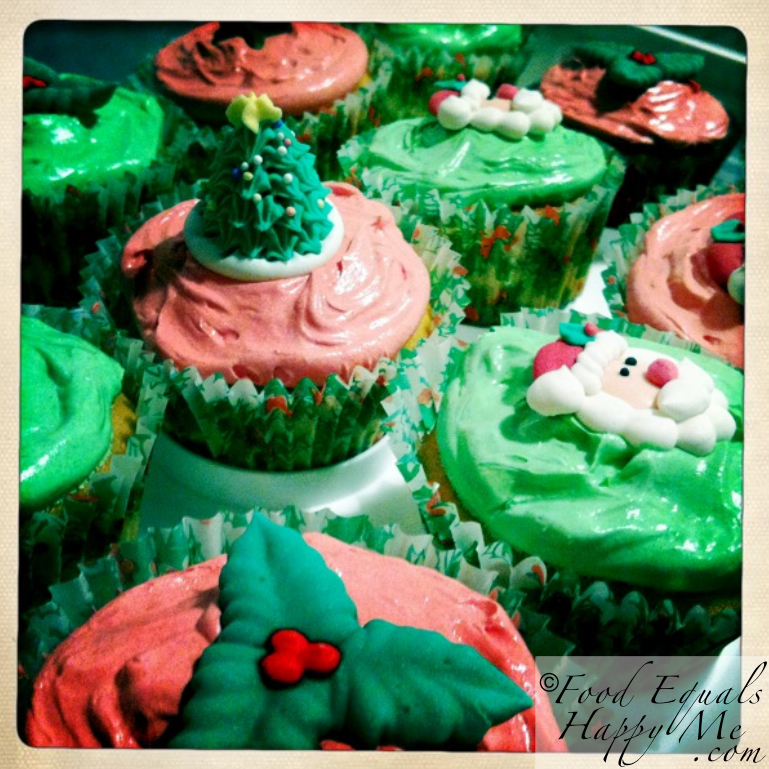 So with 6 weeks to go its time to start thinking about all those yummy Christmas treats I’ll be making. I do love that Christmas is a free pass to eat like there’s no tomorrow and roll into the next year, literally roll. 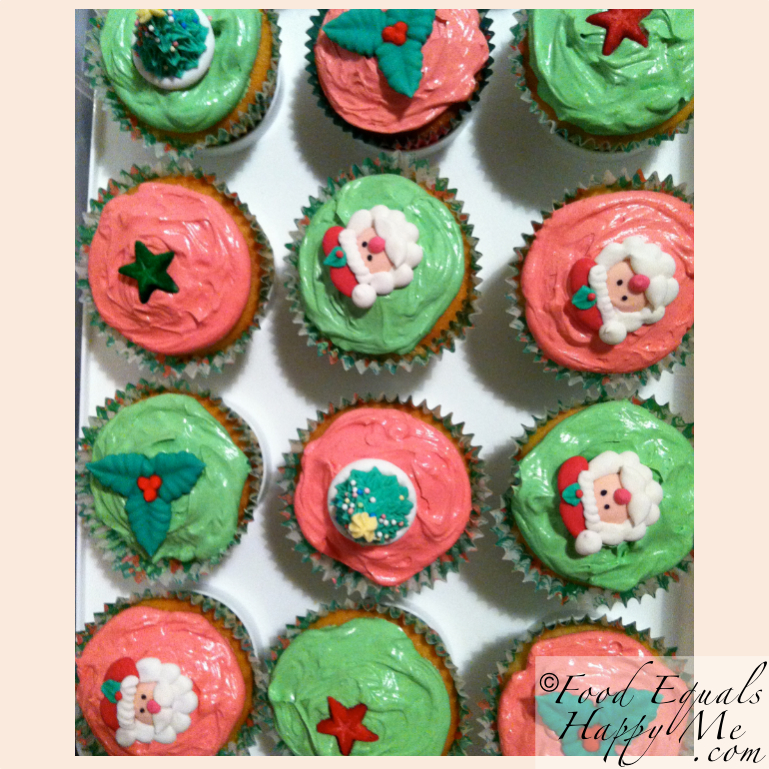 Each year I tend to make a few new Christmas sweets, but one that is always a must are my Christmas cupcakes. Great for a crowd, and really, both kids and adults love a cupcake. You can make them ‘classy’ with silver Christmas decorations, but in my mind cupcakes are meant to be fun, so I like to make them in bright Christmas colours with some special Christmas cupcake toppers. I get mine from Sugar Craft by Rosie, she always has a great selection with fast delivery. Plus I love supporting small local businesses. Cupcakes are one of the easiest things to make, and there are so many basic cupcakes recipes out there. My go to recipe is Donna Hay’s, but any recipe that has the addition of a little bit of milk will make beautiful light and fluffy cupcakes. I always top mine with classic buttercream icing, there really is nothing better. Preheat oven to 180 degrees C. Place the butter, eggs, flour, baking powder, sugar, milk and vanilla in the bowl of an electric mixer and beat for 4mins or until smooth and a pale creamy colour. Spoon into patty cases. Bake for 18-20 minutes or until cooked when tested with a skewer. Cool on wire racks before icing.